“Lucy had loved Simon Grant with all of her young heart but the thief had left her behind seven years earlier and never returned for her as he had promised. 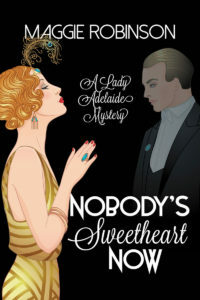 So six years ago, Lucy also left Scotland – to move to Jane Street in London, also known as Courtesan Court, where she has lived as “mistress” to Percy, Lord Ferguson – a man with exquisite manners, impeccable taste in clothing, especially women’s clothing, and a deep fondness for his butler. When Percy suffers a reversal of fortune and sells his Jane Street home to Sir Simon Keith, an English war hero, Lucy is stunned to discover he and her long-missing Simon are one and the same. Lucy wants nothing to do with Simon but Simon is determined to finally make Lucy his, no matter what she has (or hasn’t) done over the past six years, even if the now proper gentleman has to get a little improper to accomplish it!